It’s no secret that I am a fan of Alice in Wonderland. I am also a fan of Alice in Wonderland weddings. I mean have you ever seen some of these magical Alice-themed weddings that Disney has put on? Ah-mazing. 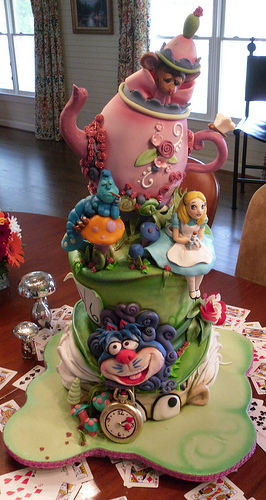 We’ve featured a couple of Alice in Wonderland-themed treats here and here on A Wedding Cake Blog in fact. I’ve even seen some non-Disney weddings that have been breathtaking. There is just something about the story that is just so whimsical that allows for a gorgeous backdrop.